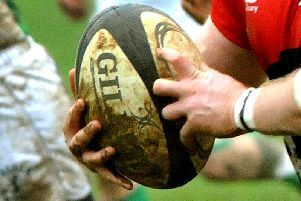 Bletchley Rugby Club have named Brendan Clark as new head coach, replacing Stuart van Rooyen. With pre-season training starting at the club in less than a month, Clark steps into the breach vacated by van Rooyen at the end of last season. Clark from Christchurch, New Zealand, brings a wealth of kiwi and local rugby knowledge. In New Zealand he played for New Brighton in the Canterbury age grades. In England he has played for Nottingham, Rugby Lions and Dunstablians. Most recently serving as player coach at our local rivals Dunstablians. Brendan will be ably supported by assistant coaches Jamie Parker and Ian Cope and team managers Pete Garrett, Paul Evans and Jason Zavagno. Bletchley’s pre-season training begins on July 7 at 7pm at Manor Fields. New players are always very welcome, whether looking to progress their first XV rugby ambitions or enjoy competitive rugby with our 2nd’s, 3rds or Vets XV’s come along to the biggest and highest level rugby club in Bletchley, Milton Keynes and North Bucks area.